The Cavaliers jazz band in 1985. Remember them? Who remembers the Cavaliers Junior Jazz Band? 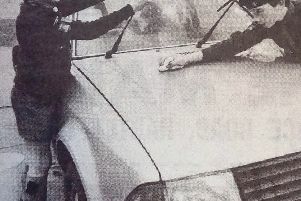 It was going strong in the 1980s in the Hartlepool area but in 1985, officials were facing a real battle to keep it going. Despite that, a huge campaign of fundraising was launched and it took in Blackhall and Wingate as well as Hartlepool itself. The problem was that the band’s bus needed urgent repairs as well as tax and insurance and the bill was due to come to about £500. Can anyone remember the Cavaliers and how did the fundraising fare? Also in 1985, who remembers the day when Hartlepool People Centre hosted an attempt to break the world record for continuous disco dancing. Mark was only allowed a five-minute break for each hour of his record attempt. But how did he do and did he set a new record?